This dress is pretty breezy as-is, but I decided to cool it off even more by rolling up the long sleeves, turning it into a short sleeve dress. I rolled ’em into a big cuff and let them sit at my elbows. That’s where they naturally wanted to fall, so I went with it, even though I was originally thinking of rolling them into shorter cap sleeves. I probably could have used safety pins to achieve the cap sleeve look, but I wanted to keep things fuss-free, so I decided against it. 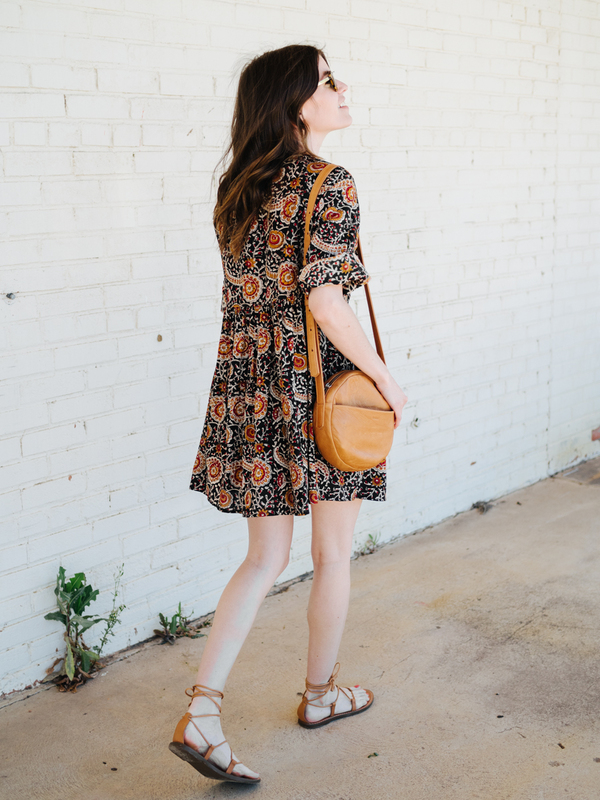 To finish off the look, I added flat sandals and a crossbody bag in a warm tan to compliment the autumn-esque colors of the dress. It’s interesting — the dress length and silhouette is more spring and summer, but the colors are more fall. To me, that’s what makes this dress so versatile. I’m excited to wear it year round — instead of saving it for the fall based on the colors. It could be a convenient solution on a windy day when I don’t want my dress blowing around, but honestly, I just like the drape and flow of it more without the tee. Your turn! Ever tried wearing a long sleeve dress as a short sleeve dress by rolling the sleeves? How did it work out for you? And which look do you like better: the dress on it’s own or tied with shirt around the waist? See you tomorrow for the third and final look of our series! 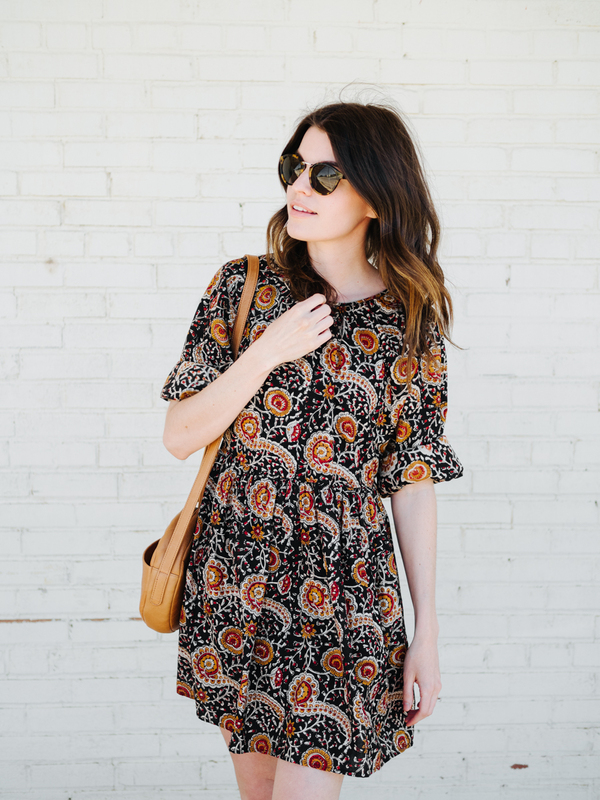 Love the sleeves rolled up on this dress, and love your new outside photos! Always exciting to try new things! I love the dress on you. It’s just beautiful and looks perfect for hotter weather! 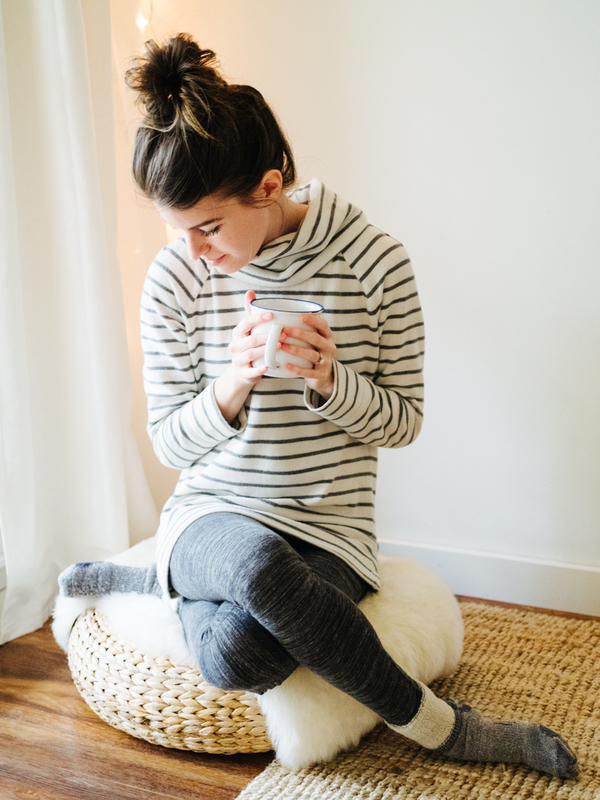 I’m such a fan of your blog and especially the direction you’ve taken regarding sustainable fashion. 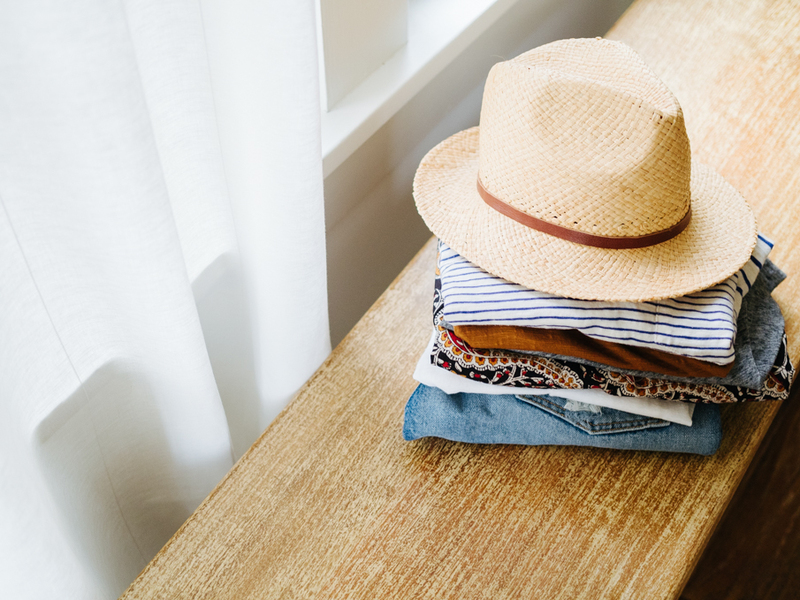 I’ve been so inspired, I wanted to create a space where like-minded people can discuss the ins and outs of ethical fashion and pared-down closets. This is pretty bare bones, but I’d love it if you’d check it out and let me know what you think! Thanks for continuing to share your thoughtful perspective on fashion! 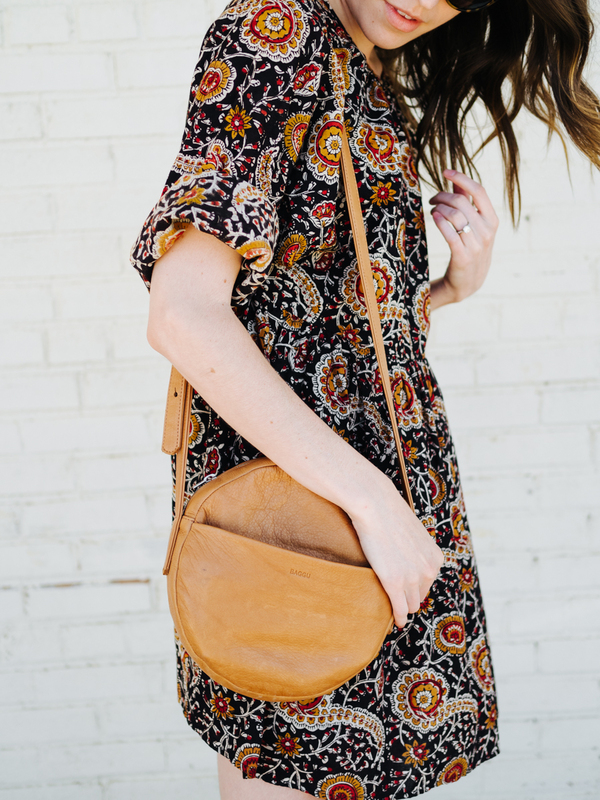 Really nice to see how versatile this dress is! I tend to think a plain dress would be more versatile, but I think you’re proving me wrong.. It looks great with those sandals and what a cute, little bag. I like what someone said in Part 1 about boho, but with a more modern feel. I really like the boho look, but it can be a bit much for me. I tend to think “boho lite” more fits my style. I used to have a pair like this. I held onto them for over 15 years because they were so cute, but I wore them less than a handful of times. The movement of my foot as I walked would pull at the laces, making them loosen around my foot but tighten around my ankle. After a few hours, the sandal would be flopping, while the laces were cutting into my ankle. I tried many different ways of lacing them in order to change the way the tension worked, but I finally gave up. I adore how they look, but they proved highly impractical. Have you (or anyone else here) experienced this? Do you have any special trick for preventing the problem? MK! I just wore sandals like this for the first time yesterday, and the exact same thing happened to me. I spent all afternoon trying to figure out what I was doing wrong. Maybe the brand matters (?) but I’d love to hear tips on wearing them also! I’ve had this problem too, but with ribbon laces. I think the only way to solve it is have the laces on a non-sandal shoe that is already held in place by the for, keeping the laces just decorative, or any other way that keeps the sandal on the foot. Maybe others have a trick but I don’t know it. Totally agree Louise! I think the ribbon or fabric laces are the issue since they can be too slippery. This dress is so cute. I am so impatient to wear my summer dresses these days! I am quite tall…so often short dresses are very short on me and Seeing this length work on you makes me feel better about that! but unfortunately It is still quite cool where I live. :( I like the rolled up sleeves, but I would be much more likely to add a thin braided leather belt (matching your bag perhaps!) to a dress like this…to define a waist. I do this with a loose swing dress I have if I want it to look a little more structured. I’ve never been a fan of the shirt tied around the waist personally. I prefer the dress on it’s own. Love those shoes! I probably wouldn’t wear the t shirt around my waist but I might do a belt to create more of a waist. I like that you experimented with rolling up the sleeves, I don’t think I have ever done that as a way of styling a dress before. I’d love to tknow the name of the nail polish you have on your toes, it’s so pretty! Lovely! Your waist defined, especially with a pop of color, is my fav. Not big on the big cuff but that’s just me. Collared shirts ain’t no thang but what’s your trick for rolling soft and prone to unrolling material, like silk? This dress is so brave. Personally, it’s too brave for my taste, as I would be constantly worrying about that combination of flowy fabric and short hemline! When you wear dresses, do you wear any shorts underneath? Even though this feels way outside my style, you rock it! Love the carefree look of the rolled sleeves! Thanks! And yes, it’s basically impossible for me to feel comfortable if I’m ever worried about not being covered! The skimmies are great – most bike shorts ride up on me (than you, generous thighs), but the longer length version they offer always stay put on me, never restrict my movement, but always ensure I stay covered. I love them. I love the bag! It’s such a cute shape but the clean lines are so sharp and keep it from being overly twee. The little front pocket!!! Just so nice. This dress is seriously perfection. The print, the cut, just everything! I swear I’m like two seconds from buying it, even though it’s way out of my price range. I love how you’ve been styling it too! 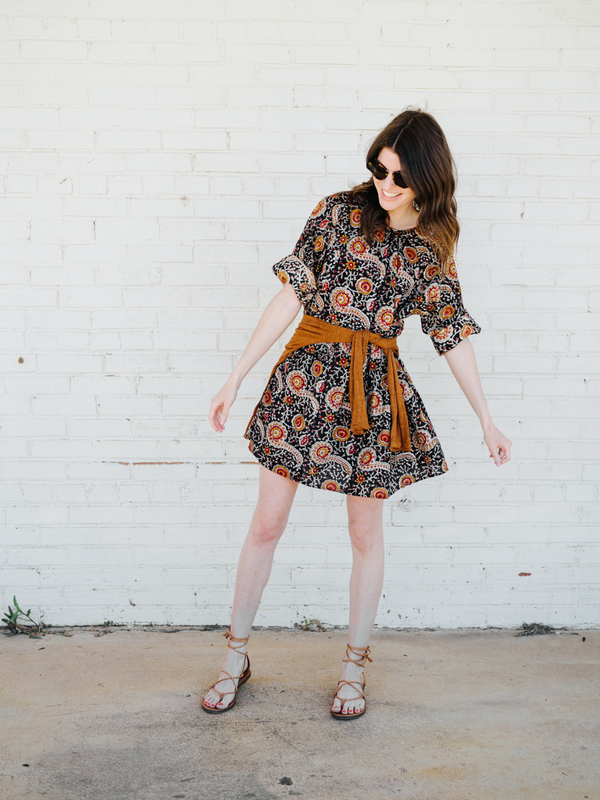 Love your boho dress series! @fall colors: If you are a fall color type and you feel your best in those colors (and you do look your best in them, and you look like you feel great too) – then feel free to wear them all year round! @outside photo shoots: I like that it’s not the same setting in every outfit post. 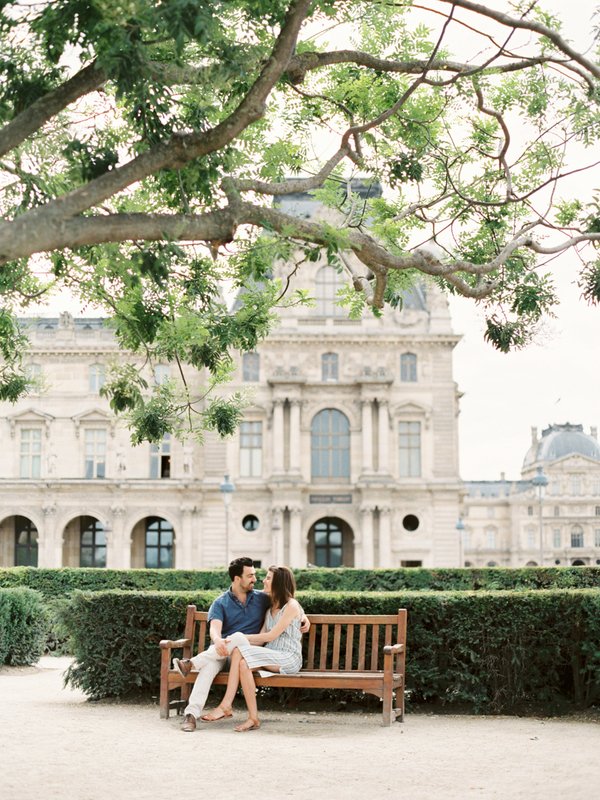 The outside setting adds to the vibe of the dress. @ rolling up the sleeves: I don’t feel comfortable with a big roll of fabric around my elbows or even above, I’d opt for the long sleeves just for comfort. I recommend fashion tape…double sided tape…to secure the roll. 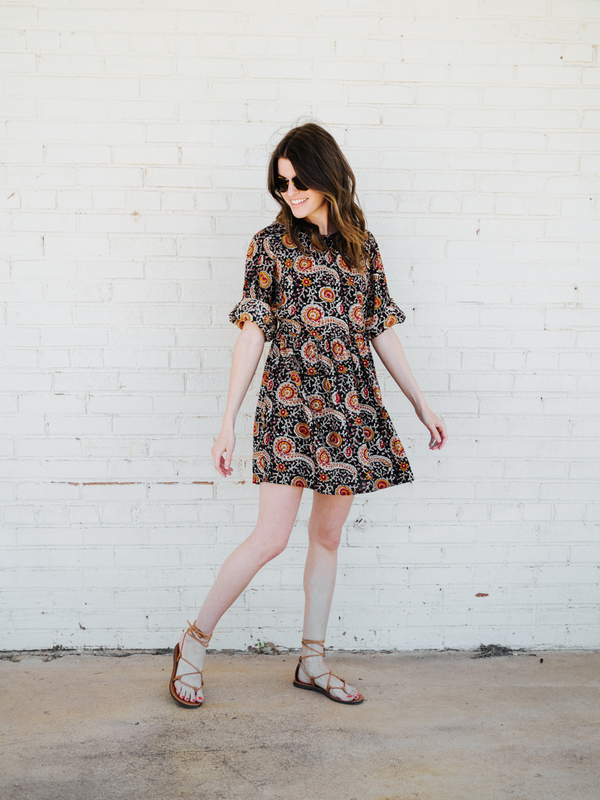 This boho dress is so pretty, love the print on it! I have that bag too! Lurrrrve! So cute! 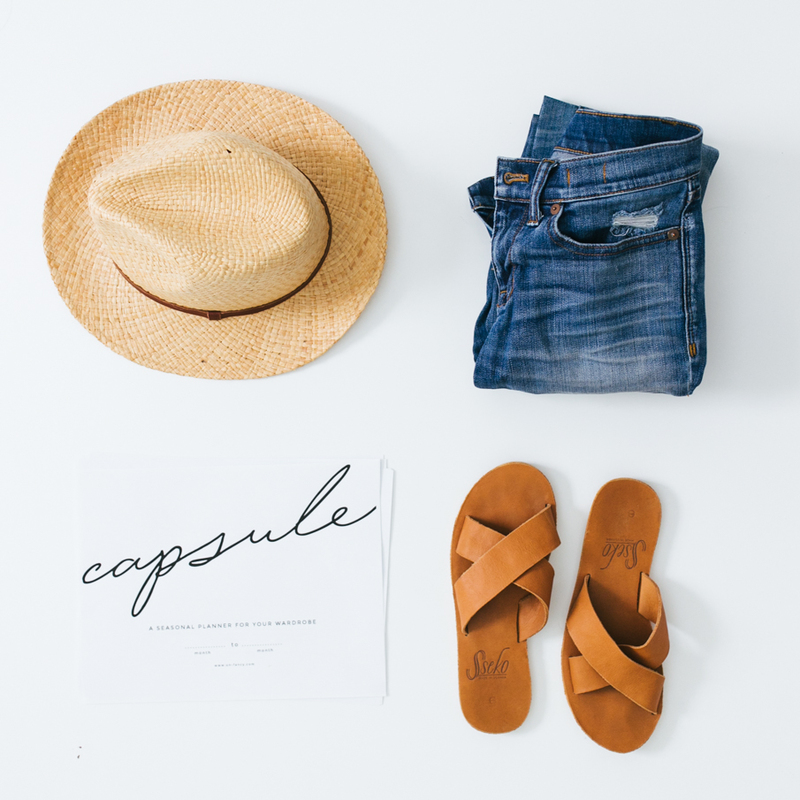 I have those Madewell sandals as well and they were such a good purchase, they’re so versatile. Too cute and I love how you rolled up your sleeves for this look! I can’t wait to wear dresses on a regular basis. Beautiful dress. I like how you have styled it. Is the cloth from India because it looks like. It’s a beautiful look! 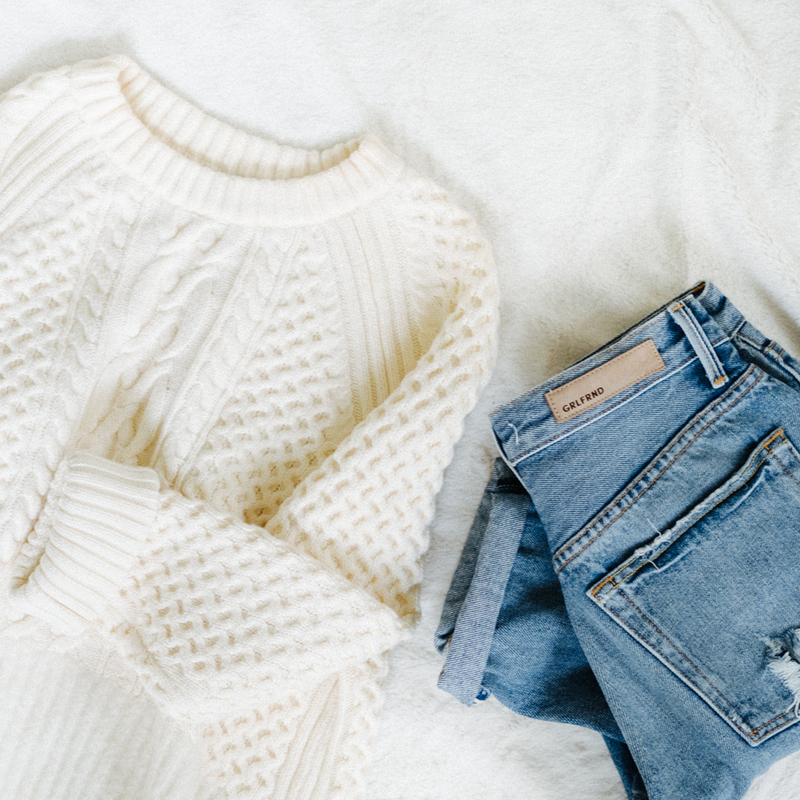 Soft, feminine, and stylish. I wonder if you’d like to try it with a soft wide belt. That tee around the bottom is sooo cute! I’m gonna have to try that with a few of my flowy favorites! I really like how the cardigan creates a waist on this dress! Great idea if the dress isn’t on the shorter side already. Plus, the color works great for spring or fall! I love seeing things styled different ways, but I think with a piece like this, it’s really going to be all about that dress no matter what you do and the changes in styling make little difference to the overall feel of the outfit. Love the bonus look ! I would love to see this dress styled with a belt, just for kicks! Any chance of Part 4?